The Givi TRK46N Trekker Monokey Top Case / Pannier - 46 Litre was everything I was looking for in a top box/pannier. It's well made, looks good, it's cavernous and very functional. 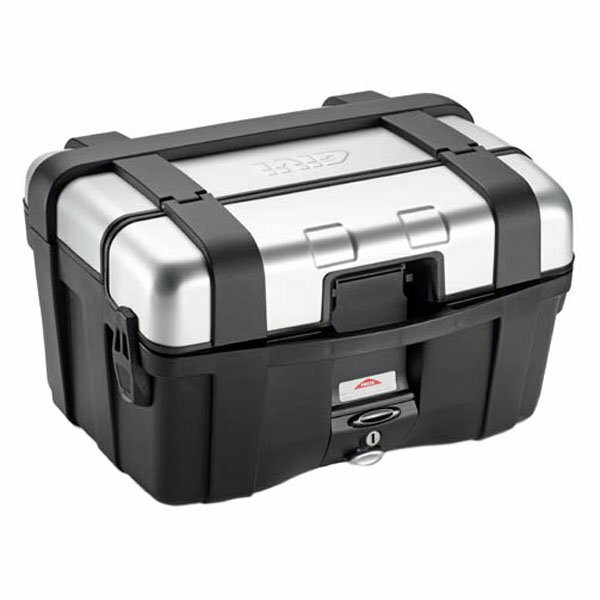 It can be used as a top case or pannier with the optional fittings. Probably the best bit of kit I have bought for my bike in a long time. Very pleased with the service from SBS, quick and efficient as I have come to expect from them. The box seems to be well made and there is plenty of room to get a lid in and loads of other stuff. Arrived very fast as per normal for SBS. Looked at a fair few options and decided on this. Good advice from the tech department as well regarding fitting options. I already have a 46 and 33 litre set of boxes but when two up touring the additional size of two 46 litre boxes is needed. Top quality bit of kit. As always Sportsbikeshop price matched and posted without delay. Very well made. Looks good. Great capacity with a little thoughtful packing. Had one of these on my last bike. Had to get another as they may not look too trendy but are just so very useful. I ordered the TRK 46 this time as it is not so large as the last 52 model but still carries plenty. Last one was totally waterproof, expect this to be the same. Givi is good kit. What's not to like.....fantastic product. Well constructed from quality materials and looks awesome on the bike. Capacity is great and looks awesome on the bike. And finally great value and did I mention it looks awesome on the bike. Fits solid onto the bracket and offers lot's of space for everyday use and touring. There was a bit of a delay in shipping from the manufacturer but Sportsbikeshop was keeping me updated regularly and were very friendly. Can't praise them enough. Seems to be a solid enough piece of kit but not really tested yet. A bit stiff to get on and off the bike but this should loosen in time. Side locking clamps not the best to use. Supplier sound and v. good price. Nice TopCase for my BMW C600. Very light, with lots of space compared to the original one. A negative point is the vibration on the aluminium support I've bought it for when I'm riding in the Lisbon old town pavements. Overall, quite satisfied.